We usually take care of things we value, whether it is an expensive smartphone or the company’s servers. Data is one of the most important assets of the organisation, and although we do not see it, it has to be carefully protected. 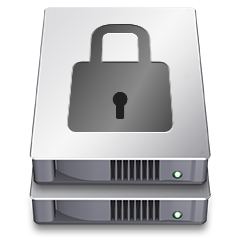 We implement data at rest encryption to encrypt database files or whole volumes which contain our data. We implement data in transit encryption using SSL to make sure no one can sniff and collect data sent across networks. Backups are no different. No matter if this is a full backup or incremental, it will store at least a part of your data. As such, backups have to be encrypted too. 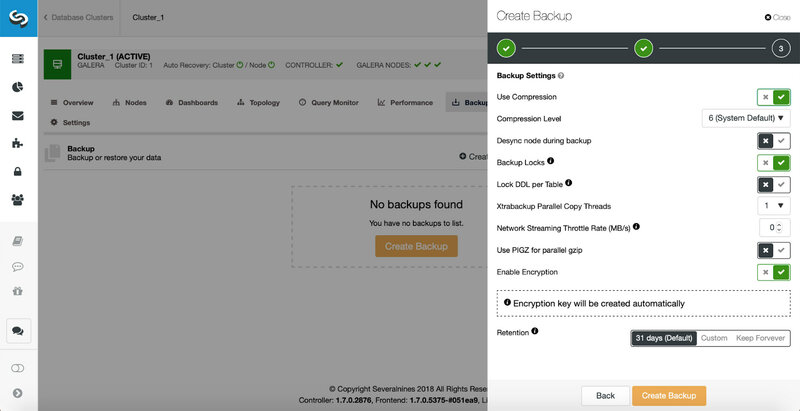 In this blog post, we will look into some options you may have when it comes to encrypting backups. First though, let’s look at how you can encrypt your backups and what could be use cases for those methods. How to encrypt your backup? This method is very simple, but it has some drawbacks. The biggest one is the disk space requirements. When encrypting like we described above, you have to keep both unencrypted and encrypted file and in the result you require a disk space twice the size of the backup file. Of course, depending on your requirements, this might be something you want - keeping non-encrypted files locally will improve recovery speed - after all decrypting the data will also take some time. In this example we used mysqldump and nc but you can use xtrabackup or mariabackup and some tool which will upload the stream to Amazon S3, Google Cloud Storage or some other cloud provider. Any program or script which accepts data on stdin can be used instead of ‘nc’. In some of the cases, a backup tool has embedded support for encryption. An example here is xtrabackup, which can internally encrypt the file. Unfortunately, mariabackup, even though it is a fork of xtrabackup, does not support this feature. Ideally, you will use the key stored in a file but then there’s a small gotcha you have to be aware of. 00000000   6D 6B 2B 4B  66 69 55 4E  5A 49 48 77  39 42 36 72  68 70 39 79  6A 56 44 72  47 61 79 45  6F 75 6D 70  0A                                     mk+KfiUNZIHw9B6rhp9yjVDrGayEoump. You can now notice the last character encoded using ‘0A’. This is basically the line feed character, but it is taken under consideration while evaluating the encryption key. Once we remove it, we can finally run the backup. 181116 10:11:25  version_check Connecting to MySQL server with DSN 'dbi:mysql:;mysql_read_default_group=xtrabackup;mysql_socket=/var/lib/mysql/mysql.sock' as 'backupuser'  (using password: YES). drwxr-x---  5 root root 4.0K Nov 16 10:11 .
drwxr-xr-x 16 root root 4.0K Nov 16 10:11 ..
--encrypt-chunk-size defines a working buffer for encryption process. With ClusterControl encrypted backups are just one click away. All backup methods (mysqldump, xtrabackup or mariabackup) support encryption. 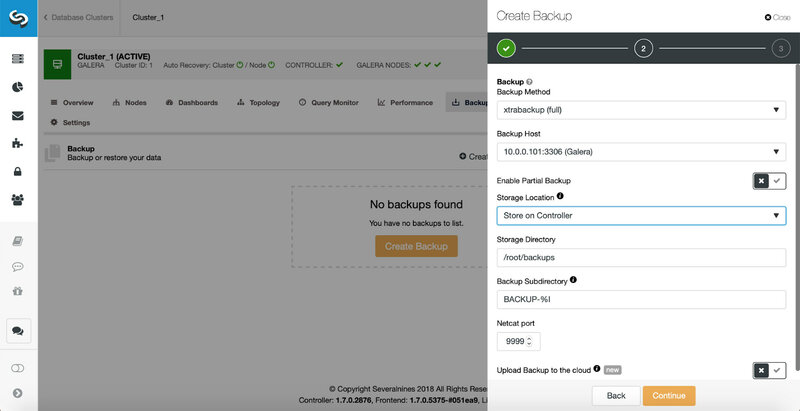 You can both create a backup ad hoc or you can prepare a schedule for your backups. 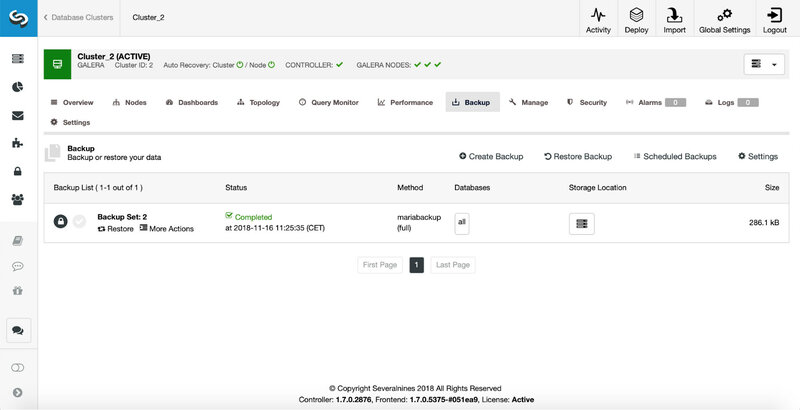 In our example we picked a full xtrabackup, we will store it on the controller instance. On the next page we enabled the encryption. As stated, ClusterControl will automatically create an encryption key for us. This is it, when you click at the “Create Backup” button a process will be started. New backup is visible on the backup list. It is marked as encrypted (the lock icon). We hope that this blog post gives you some insights into how to make sure your backups are properly encrypted.